The pastoral staff missed worshiping with you last Sabbath but received a lot to think about at our retreat at Indian Creek Camp. I was reminded at the retreat of the importance of making church a place that disciples its members and is a welcoming place for the lost. I do want to say a special thank you to Melanie Bockmann for her sermon last week. I watched the sermon this week online (if you haven’t here is a link…it is well worth your time) and was blessed and challenged. If you are passionate about prayer, or if you aren’t but you would like to become passionate about it we have a wonderful opportunity for you. On Sabbath afternoon, May 5, Dr. Carlton Byrd will be at Nashville Spanish Church. Dr. Byrd will be presenting on prayer. The program begins at 6 pm. I am confident you will receive a blessing from what Dr. Byrd has to share. Nashville Spanish Church’s address is 501 Brewer Drive, Nashville, TN 37211. I hope to see you there! We are a quarter of the way through our goal of reading through the Bible as a church family. Even if you haven’t done the readings it would be great to have you start now and do the readings with us. I think there is a real blessing in reading the Bible together. Hard copies of the Bible reading plans can be found at the kiosks in our lobbies. Here is a link to the online Bible reading plan for May. Let’s Read the Bible Together – May. We are so excited to bring you Children’s Church on this Sabbath, April 28! May 12, 5:30-8:30 in the Schlisner Fellowship Hall. A fundraiser for Young Adult Ministry. Sign up by emailing pastornacho@madisoncampus.org Categories are: Mac & Cheese, Cornbread, Veggie Loaf, Brownies, Fudge, Cookies and Pie. Prepare food at home or come early to prepare. There is a No Judgement Category. Bring your family for food & prizes. $5 donation appreciated. IT’S A BOY! Deanna and Zach Smith, daughter of Richard and Denise Pope, are having a boy the end of June. A come and go shower will be held for Deanna and baby boy, Eli, Sunday, May 6 from 2:00-4:00 pm at 113 Pineywood Acres, Madison, Tennessee. Come and join the celebration! 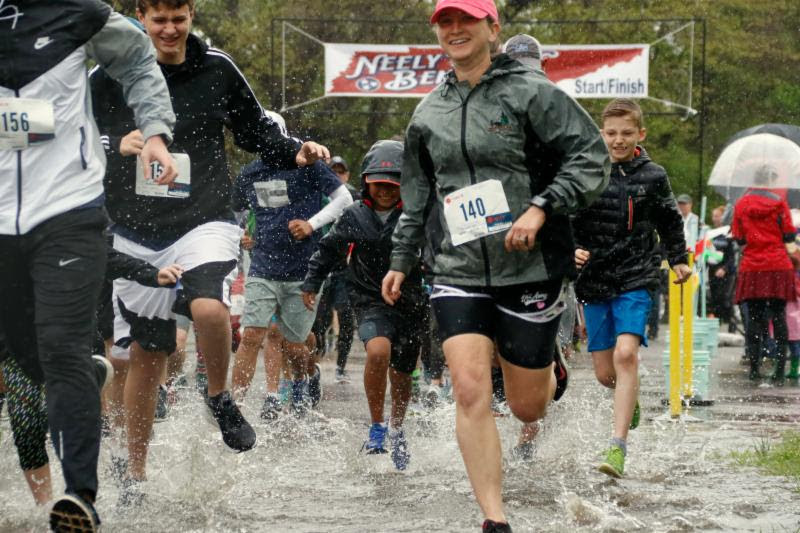 In spite of the rain there was a great turnout for the Neely’s Bend Fun Run last Sunday. Kudo’s to the Madison Academy public relations class that planned and ran the event. They did a fantastic job! 1. People that always complain are like children. If you listen to them you are in reality letting kids rule your life. Do you really want that? 2. No matter what Jesus did, people always criticized. So go ahead and be the person God is calling you to be. You will be happier, healthier and at the end more satisfied. 3. Results will show the truth. Matthew 11:19 says the “wisdom is shown by results.” This means: let your results talk for themselves. DON’T DEFEND YOURSELF TO PEOPLE. Stop living your life based on others opinions. 1. Leave some extra stamps at the post office for the next customer. 2. Donate an hour of your professional services. 3. Leave chocolate for your co-worker. Lord, help me be the person you called me to be, regardless of opposition, criticism, or gossip. Amen. If you enjoyed this devotion but do not have the Season of Service devotional book by Roger Hernandez, click here to download.